This time while we were within the cour du carrousel of the Musee du Louvre, we took these high definition photos showing the statue called Baigneuse, which was sculpted by Jean Baptiste Paul Cabet. 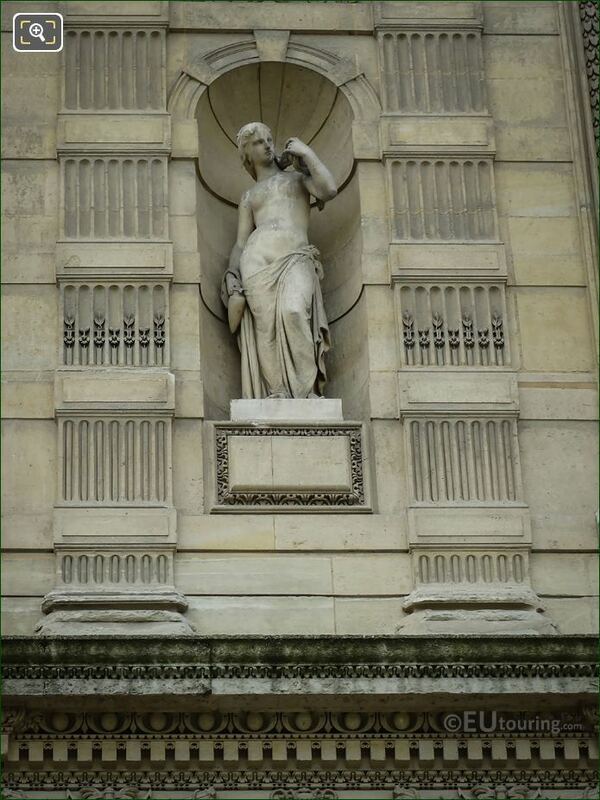 Now this stone statue is called Baigneuse, which in English translates to Bather, is located on the second level of the Aile de Flore wing of the former Palais du Louvre, and this facade is sometimes referred to as the Grande Galerie, due to the numerous statues that are located on the facade within niches. 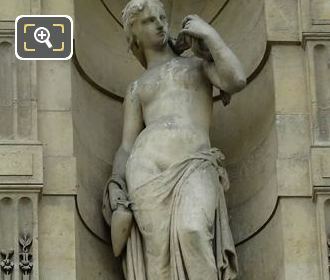 And the statue of Baigneuse you can see in this HD photo was produced by Jean Baptiste Paul Cabet who was born on 1st February 1815, and initially studying at the Ecole des Beaux-Arts in Dijon, he then went to Paris continuing his studies with Francois Rude, to become a recognised French sculptor. However, because of his Republican views, he had to go into exile in Russia, and while there he produced incredible reliefs along with two monumental fountains for Saint Petersburg, yet upon his return to France, he started receiving numerous commissions. 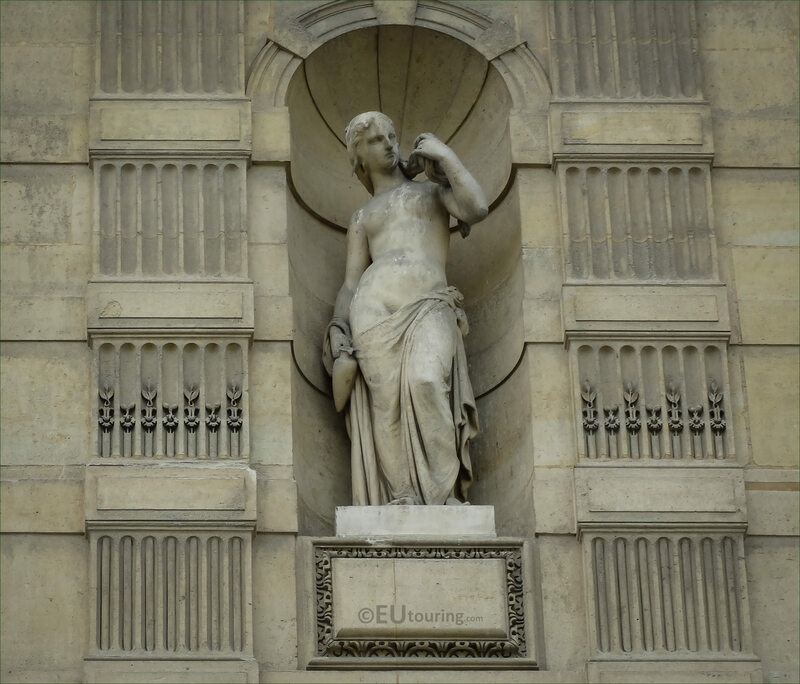 He also married the niece of Francois Rude and after he passed away Jean Paul Cabet finished projects that this famous sculptor had started, but some of his largest commissions were for The Louvre, although other works can be found in other museums in France such as one in Dijon.